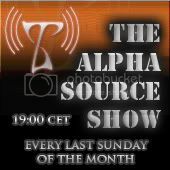 Hosted by Alpha & Vic show will focus on interviews with DJs and artists, announces of new releases and other news like festivals and parties taken from Triplag forum as main source. Fungus Funk /Astroff, Antagon, DigitalX. Last edited by Triplag Webradio on Fri Jan 28, 2011 4:20 pm, edited 6 times in total. Two shows had been done! thank you everyone who contributed! yes I agree with all your suggestions! We had tried to make interview with KZ for the first show but it was not possible due to language barrier. CPC and Somarobotics are on my list already!